Established in 1707 as Rock Hall Crossroads, this village – known as "the Pearl of the Chesapeake" – has since boomed to a population of more than 1300! 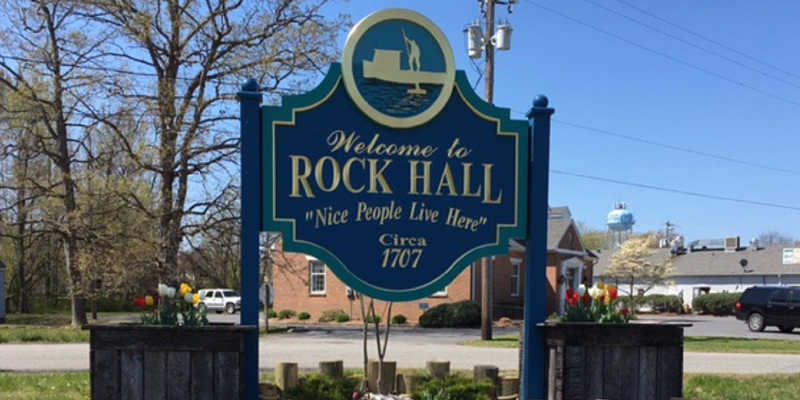 A quaint harbor town with a rich maritime history, Rock Hall is a tight-knit community with a reputation for its friendly residents. 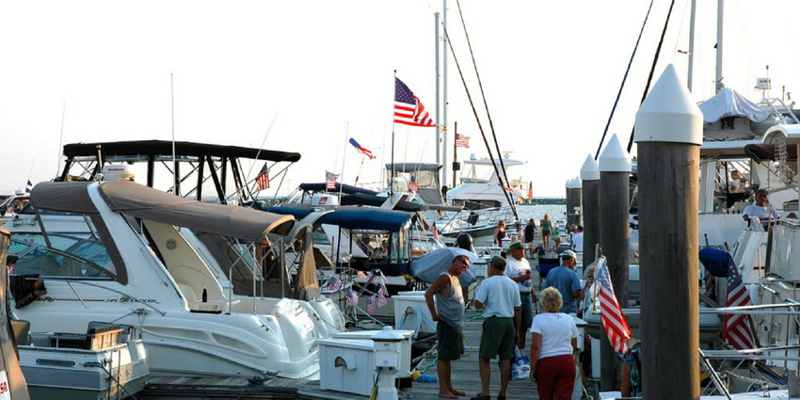 We asked the folks at Rock Hall Landing Marina for some of their recommendations around town – read on! Rock Hall (39.1382° N, 76.2350° W) is due east of the mouth of the Patapsco River, on the eastern shore of the Chesapeake Bay. According to ActiveCaptain boater reports, dredging was completed in June 2012 and there is at least 7 feet in the channel. G1 has been moved a substantial amount to mark additional shoaling changes and to better align with the best approach to the harbor entrance. When entering Rock Hall, leave G1 to your port side and consider consulting tide charts before approaching. We have three favorites! Waterman's Crab House (pictured above), adjacent to us has great food, drinks and a gorgeous view of the Bay. Harbor Shack, also in the harbor, offers a large menu with a little Mexican fare. If you're looking for a night on the town, Bay Wolf offers a wide variety of dishes and specializes in German fare. As for favorite watering holes: Along with great food, Waterman's Crab House and the Harbor Shack both offer live entertainment on Friday and Saturday during the summer months. Chester River Seafood has some of the best crabs in Maryland. We suggest on a nice day to get some crabs from them and use our picnic area to relax and enjoy a crab feast! Rock Hall and the area around it is at sea level, so the flat terrain is a great opportunity to go on a walk or bike ride. You can stroll the waterfront or, for a bigger challenge, take on the 3.2 miles of the Rock Hall Loop. Borrow a bike from Rock Hall Landing Marina to get to town or ride Bayside Landing Park on the North side of the Harbor, a great spot to lay back and watch the boats go in and out of the harbor. Looking for an afternoon at the beach? Head to Ferry Park, located on Beach Road off Route 20 for sun, sand, and one of the best views of the sunset over the Chesapeake. 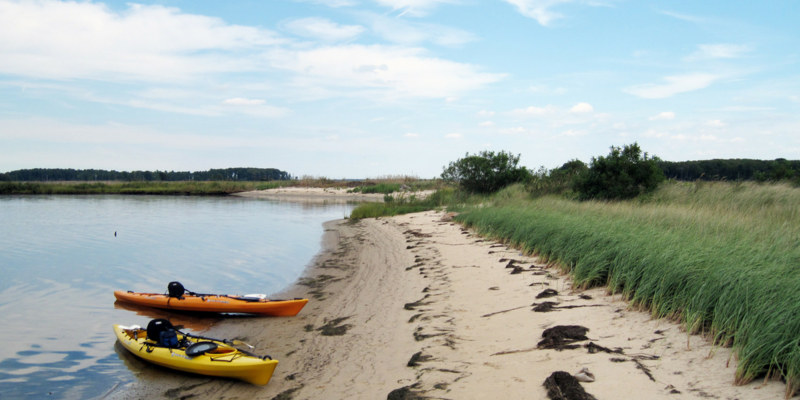 For kayakers, pick up a rental from Chester Kayak Adventures and head to Eastern Neck Island, home of the Eastern Neck Wildlife Refuge, to hike the trails, birdwatch, and just soak in the peace and quiet. Rock Hall Landing Marina hosts two triathlons each year: the International Rock Hall Triathlon in early June and the Waterman's International Triathlon in early October, which draws athletes from around the world and makes for a lively weekend. 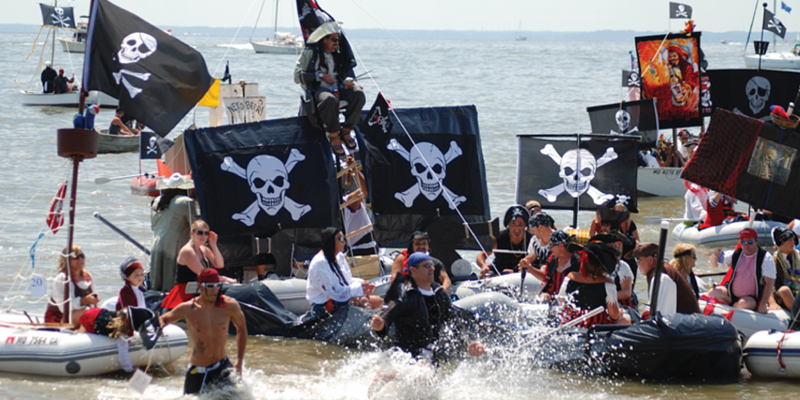 If you're in the Chesapeake Bay in mid-August, we highly encourage you to check out "Best of the Bay" event winner Pirates & Wenches Fantasy Weekend. Sea-shanty sing-a-longs, rum tastings, a dinghy-decorating contest, a Caribbean beach party and a town-wide treasure hunt make this a weekend pirates dream of! 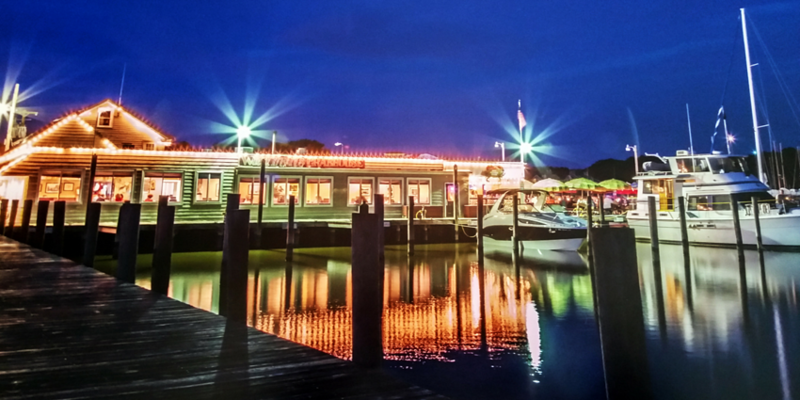 With a stunning sunset view, protected harbor, and friendly, professional, staff, Rock Hall Landing Marina is one of our favorite marinas in Rock Hall, MD. It's also convenient, as the closest marina to town, and one that provides bike rental and transportation. The Rock Hall Tram at a $1.00 a ride will take you anywhere in town, or on a tour if you don't have a particular destination but want to get your bearings. Rock Hall Landing Marina is pet-friendly, and has a large picnic area with grills for guest use. They also offer individual climate controlled shower/heads. For the best approach to Rock Hall Landing Marina, enter the harbor there is a small green can 1 – keep that ten yards on your port side. Marina staff suggests that first-timers use the perimeter channel: bear to the left after you have entered the harbor and follow the perimeter of the harbor around in a clockwise direction, passing day markers 10, 12 & 14. Rock Hall Landing begins taking reservations for the 2017 season on January 2, 207 at 8AM ET. Click here to save the date!